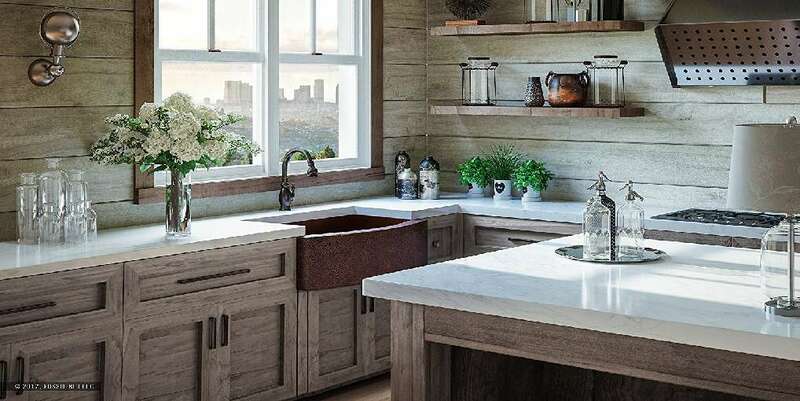 Copper sinks are a beautiful and rustic choice of decoration for any kitchen. They are incredibly unique and have an old-world feel to them, which makes them a superb aesthetic choice for your home. Additionally, copper is absolutely full of antimicrobial properties, which makes them a very good choice for a kitchen sink. They are especially good for anyone who tends to hand-wash dishes often and for anyone who needs to soak produce. However, there are some downsides to copper sinks. The main problem with copper sinks is that they stain very easily. Although this may be true, it should not stand in the way of your dream-sink. You can clean copper sinks and get them shining like they are brand new, so long as you have the correct tools. As long as you make sure to regularly care for your copper sink and apply the above tools when cleaning, it should be relatively easy to keep your sink in good condition. It is important to understand that copper is a metal that is heavily affected by the environment around it. The patina is a protective layer that keeps your copper safe from corrosion and damage. It can be damaged through abrasive materials so it is important to protect it. Never clean your copper sink with anything more than a soft cloth as it can damage the patina and expose the copper. Before you go to bed at night, wash out your copper sink with gentle soap, warm water, and a cloth. Immediately dry it after will a cloth as water and soap remaining for a long time will make it so your sink stains. Do not leave dishes in your sink overnight, always make sure you go to bed with a clean and dry sink. Cleaning out your sink this way every night will greatly increase the lifespan of your copper sink and is an important step to caring for it. Green spots on your copper sink are actually caused by water being left in your sink. The green is actually a mineral deposit. Some soaps can also cause this type of stain so it is very important to make sure that nothing is left to sit in your sink too long. This type of stain can be removed by scrubbing the sink with a cloth and nothing more abrasive than a fingernail. Do not use any type of metal to try and clean this stain away. Simple use a damp cloth and scrub at it, use your fingernail. You will get this kind of stain up from your sink relatively easily, it just might take some time. For any stubborn stains, like brown film or food stains, coat them in baking soda and then use a gentle cloth to scrub them. It may take awhile, but the stains will come up. Do not combine the baking soda with vinegar as you normally would while cleaning a stain as it will hurt the patina on your sink. The best way to clean your sink is to keep it clean. This sounds obvious, but it is important to realize that taking gentle care of your sink is the best remedy for maintaining the quality of it. Once every six weeks or so, clean out your sink with a copper-cleaner. This will help keep the copper in good condition but doing it too often can negatively impact the patina on your copper. If you desire to keep the copper shiny, consider applying a copper wax. Using the wax after cleaning it at night can help protect the quality of your sink. Follow the manufacturer's directions for application and only buy a wax that is specifically meant for copper. -Only use baking soda and gentle soap to clean your sink. Never apply lemon juice or other acidic cleaners to your sink. Definitely never use chemical cleaners. -After washing dishes, get them out of the sink as soon as possible. Allowing them to dry in the sink is bad for the sink because of the prolonged exposure to moisture. -Be patient while you clean. It may take more time, but it is not worth damaging your sink to take a more abrasive cleaner to it. Cleaning your copper sink and maintaining it is simple. All you really need to do is make sure your sink is not exposed to water or moisture for a prolonged period of time. Make sure to keep abrasive cleaners away from the sink and try your best to maintain its patina. With some elbow grease and patience, any stains in your sink can be removed without the help of more than your fingernail, gentle soap, baking soda, and a soft cloth.